The Cindy Crawford Collection is where modern design meets comfort. Add contemporary furniture to your living room that looks terrific, and has built-in comfort and power reclining that doesn't impede with your style or decor. A space-saving recline feature is the highlight of the Seth, allowing you to place your reclining furniture up against a wall while maintaining the ability to fully recline. The collection is highly customizable, so you can add cup holders or create a sectional to suit your space. It is also built to last with patented EcoFlex foam inside to support seat weight distribution and ensure individual comfort on each model. Why Buy Reclining Furniture from The Brick? 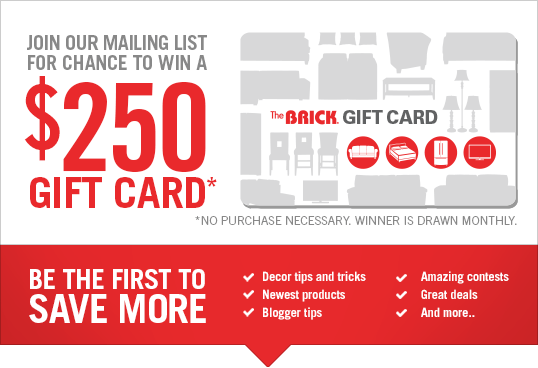 The Brick is committed to saving you more on quality furniture. All of our furniture is rigorously tested for durability, material strength, and electrical and mechanical component function. This ensures our products exceed industry standards and will last through even the most demanding users. We offer a variety of high-quality options suitable for any budget and in a wide range of options, from large sectionals to small reclining chairs. The Brick also offers a comprehensive furniture warranty program on every purchase. The Brick offers both manual and power reclining options for living room furniture. Manual recliners are the most popular type of reclining option. They are offered at a great price point and are easy for everyone to use. The Brick sells two types of manual recliners – the first uses a pull handle on the side panel of sofa, loveseat or chair. Pulling the handle releases the footrest, allowing you to lean back into a reclined position. To release, push the footrest down with your legs. The second type of recliner requires more effort where you must push back to recline and push down on the footrest to release. While this is the least expensive model, it is not recommended for those with mobility issues. 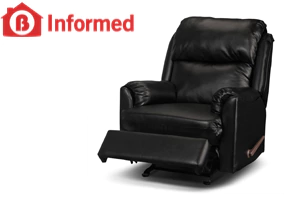 Power recliners move with the press of a button and can be adjusted to an exact recline level without any manual effort. This option is more expensive but, due to the internal electrical mechanics, are more likely to last longer making them a wise investment. The biggest perk of a power recline sofa, loveseat or chair is that you recline to the exact degree you want, allowing you to customize your relaxation. This option is also much easier to release where you simply press the power button, a great option for anyone with mobility issues. We offer a wide variety of frames and options built right into your reclining furniture. You can choose a rocker, swivel, glider, or side-by-side frame depending on your wants and needs. You can also choose from a wide range of options, including power lift, Power Reclining, massage, and storage. Read more about reclining options and how to choose the best features for you.